Offering stunning wedding photography at a competitive rate. There are a tremendous amount of emotions, connections, and funny moments that occur underneath the surface of every wedding. My lovely assistant Gabrielle and I dig deep to capture the candid, the non-traditional the obscure, and the beautiful. I do absolutely everything in my power to get the shot I am after. Chances are I will end up in a tree, on top of a building, in the water, laying in the middle of a street, or otherwise precarious position at some point during a wedding. Gabrielle does an excellent job capturing portrait-style shots and details. She has a fine-tuned eye for make-up, wardrobe issues, and she is uncannily good at pinning boutonnieres. 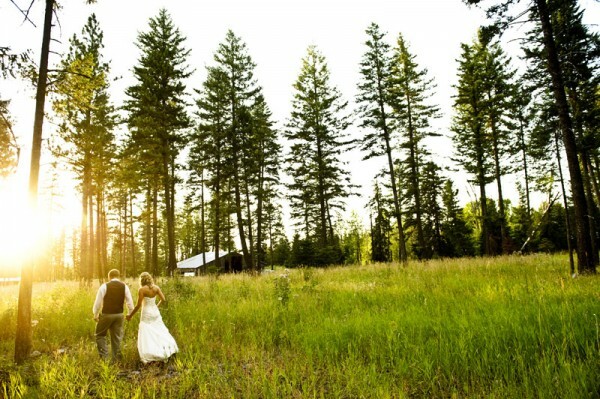 Every wedding is a constantly changing endeavor that inspires both of us in many ways. Together we are able to deliver a stunning variety of photos. We are 100% dedicated to providing every client an amazing experience. Sure, we may be a bit tired and sore at the end of the day, but the thrill and excitement we get from photographing weddings is unparalleled. Jadyn and Gabrielle did such an amazing job at our wedding and provided us with beautiful pictures. They were very easy to work with from scheduling our first meeting until we got our pictures. During the ceremony and reception they were able to capture all of our important moments without being in the way or feeling invasive. I would highly recommend them (and already have!). Jayden and Gabrielle are amazing at what they do! They not only captured beautiful photos, but the emotions of joy, anticipation and excitement behind them. They really understood and captured the type and feel of the photos we wanted based on our theme and location. They even hiked up a flowing creek bed to capture romantic pictures of us on a bridge! They were very professional but also laid back and easy to work with. They were extremely patient with our large and often difficult family. Overall they did an amazing job and we are both really happy with thier work and the beautiful memories they captured for us. And they were very affordable! 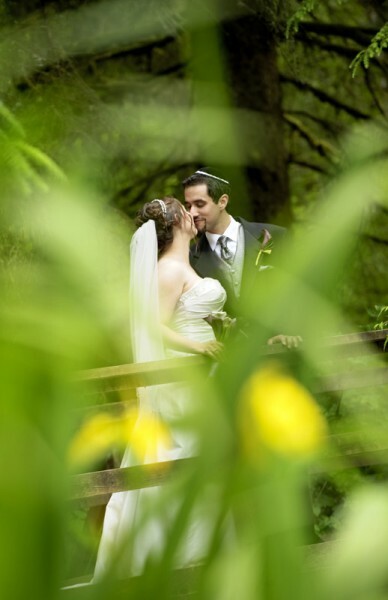 My husband and I were paying for our own wedding, and were on a tight budget, but we wanted an exceptional photographer. Not an easy find! I had heard so many horror stories about budget-friendly wedding photographers, but we couldn't have been more thrilled to discover Jadyn Welch Photography! Not only are his pictures amazing, but he was affordable, too! On our wedding day, Jadyn and Gabrielle were so fun to work with. They were open to our ideas, let us experiment with different shots, made us laugh and made us both feel comfortable and special. During the ceremony and reception they took absolutely gorgeous photos, and were never in the way. I couldn't believe some of the perfect shots they took without us even noticing their presence! They were both SO professional, SO easy, and SO wonderful, we are trying to brainstorm another occasion where we could have an excuse to work with them again. I highly recommend Jadyn Welch Photography. We were looking for an affordable wedding photographer who would take amazing pictures and be a part of our day. We got more than we could have ever asked for with Jadyn. To start, the price was amazing. We had looked at other photographers and their price did not match the quality of their work. When we looked at Jadyn's work, his work outmatched his price, such talent! 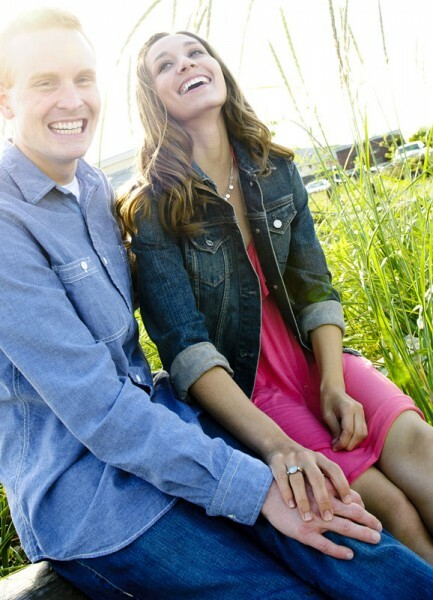 On our engagement session, we talked with him and his assistant as though we had all known each other forever. It was the most comfortable environment. For our wedding, he went above and beyond all our expectations. Our pictures were delivered in a timely manner and looked beautiful. I still keep looking at them almost 6 months later. This is absolutely the way to go for photography. We are still so grateful for their gracious display of our day. Choosing a wedding photographer can be a very difficult thing and we were extremely happy that we chose Jadyn. His work is amazing! He was able to catch some perfect moments that many other photographers might have missed. In addition to his incredible photos, both Jadyn and Gabrielle are extremely professional and made the process very comfortable. They were truly a pleasure to work with and we would highly recommend them! Jadyn and his assistant managed to capture our day so wonderfully and keep our memories alive! The photos, and photo book are amazing. It was such a magical day, and the pictures allow us to relive the moments from beginning to end. We highly recommend Jadyn! Jadyn Welch and his assistant Gabrielle did a spectacular job capturing our wedding day! They are prompt, courteous, and non-obtrusive, leaving you to feel comfortable to enjoy every moment of your special day! They went out of their way to make sure that every shot and every moment was captured, including some very precious moments with our family members who travelled from so far away. They bring a creative energy to the event when taking pictures! When we got to review our pictures there were so many that we didn't even realize were taken at the time, but were so excited to have! My guests even mentioned that they barely noticed the photographer, yet he was everywhere and catching everything! That is true talent to go among a crowd of 150+ and be incognito! Jadyn offers so much for such a competitive price, and his products are unbelievable! The photo albums weI received are truly a piece of art and something we will cherish forever. You get so much for your money!! Absolutely EXQUISITE photography from an extremely friendly, comforting, and professional team. Truly a "ten" out of "ten"!!! Thank you so much Jadyn and Gabrielle!!! 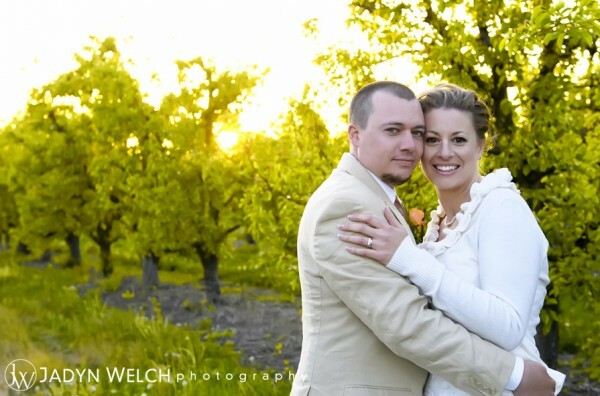 We couldn't have been happier with the service that we received from Jadyn Welch Photography. The attention to detail, professionalism & clear passion for their work really came through in our wedding photos. Jadyn and Gab were extremely personable and many of our guests commented on the wonderful job they did with the photography thoughout our wedding day. Our wedding book, custom made by Jadyn, turned out beautifully. We asked him to surprise us with the lay out once we picked the photos and he did not disappoint! We certainly feel that we got well more than our money's worth, having this amazing team photograph our wedding. We highly recommend them to anyone! They will truely capture the joy and beauty of your wedding day. Thank you Jadyn & Gab! Easy-going, professional, and detail oriented would the three main words I would use to describe Jaydn and his talent. Josh and I had a short, three month engagement, yet we placed great importance on finding the best photographer we could to document our big day. What a relief it was when I found Jaydn! As obviously demonstrated in his online portfolio, Jaydn thinks outside the box and captures all aspects the day brings. Anyone can take posed, generic wedding photos, but Jaydn goes beyond your status quo of photography and adds his artistic, creative twist. We were impressed with the variety of shots he took and the quality of the dvd slideshow, online gallery, and prints! And not to mention the speed at which he gets those photos available to view! Josh and I were on our honeymoon and received an email from Jaydn, providing us with a sneak-peak look at a handful of photos from our wedding. With in a week we were able to view all of the edited photos in the online gallery and shortly after we received a package Jaydn had put together of our slideshow, cd with photos, and a mounted print he had choose to give to us as a gift. Down to the very last detail, Jadyn personalizes every aspect of his services to meet the needs of each couple and exceed all expectations. We whole-heartedly recommend Jaydn to anyone looking for a reliable, easy to work with photographer who delivers reasonably priced, yet high quality photography. Our “once in a life” day will forever be preserved by the talent and well thought out approach Jaydn and his assistance Gabrielle took for every photo, even the ones we had no clue were being taken! Jadyn was great to work with right from the start. He was very responsive and flexible for any plans or ideas we had. When it came down to crunch time he was very accessible and made us feel relaxed and confident that our wedding would go according to plan. The day of the wedding Jadyn was so great taking pictures we had envisioned as well as using his creativity to capture moments that we did not even realize he was shooting. We were thrilled when we saw the final result! We have absolutely beautiful memories that all of our family and friends have enjoyed reliving. We would 100% recommend Jadyn for your wedding ! We were extremely impressed with the amazing photography of Jadyn Welch. He and his assistant were both very attentive and there for every shot, yet unobtrusive. We really enjoyed his laid back personality which put us at ease to enjoy our day together rather than focusing on posing for the camera. He does a great job capturing the moment and the emotion - I was amazed to see it come through so clearly in the pictures. His customer service is also amazing - he went to our wedding site twice before the ceremony just to be sure he had the lighting "just right" and responded very promptly to my multiple email communications when I was worried about all the details before the big day. We were also very impressed to have have a "sneak peak" of photos emailed to us only a few short days after the honeymoon, that we were able to email out to all of our friends and family while everyone was excited to see pictures. On top of that, all of our photos were waiting for us in our mailbox on a CD when we returned from our 12-day honeymoon! We have friends who got married 3 months before us and used a different wedding photographer - they received their photos on the same day as we did!! Overall, Jadyn Welch was hands down our favorite wedding vendor throughout the whole process. We highly recommend him for all other future bride & groom's to-be. #6 - Did I mention AMAZING photography?? It is so hard to put into words what emotions you feel on your wedding day, it is truly an incredible event. Jadyn's photographs speak for themselves, they evoke feelings that words can not fully describe. From the time we first contacted Jadyn about 10 months before our wedding until now, 4 months after our wedding, Jadyn has been the perfect photographer! His attention to customer service, detail, and overall quality of his work is remarkable. My husband and I could not be happier with our wedding photos! We 100% recommend Jadyn Welch Photography!